You maybe one of the 39% of people who miss breakfast in the morning so they can log onto Facebook or Twitter. 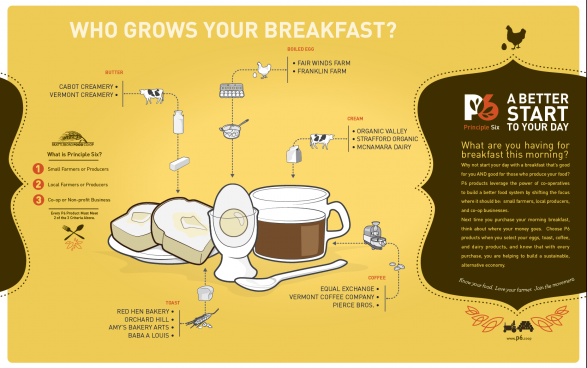 However, for the other 61% have you ever wondered where your breakfast comes from and who grows it? Well the below infographic may shed some light on our early morning suppliers. Kellogs produced a factsheet on the habits of Britain and found that over 11 million Britons miss breakfast 1/3rd of the time. They also stated recommendations for the ‘ideal breakfast’ which included milk and foods that are high-fibre and high in carbohydrate. We recommend visiting your local farm shop to stock up on great local produce for your breakfast. Also don’t forget to view our Pinterest boards which can be found here.